Liberal ministers fanned out Tuesday to show cabinet solidarity and support for Justin Trudeau as the government reels from the high-profile resignation of Jane Philpott. Liberal ministers fanned out today to show cabinet solidarity and support for Prime Minister Justin Trudeau as his government reels from the high-profile resignation of Jane Philpott. Foreign Affairs Minister Chrystia Freeland, one of several ministers speaking out today, said she has absolute confidence in the prime minister and that it is a privilege to serve in his cabinet. Asked if the resignation of two high-profile women ministers undermines Trudeau's feminist agenda, Freeland insisted that she's proud of the government's work in advancing gender equality. "When it comes to working with the prime minister as a woman, I have found him to be absolutely supportive," she said during an event in Longueuil, Que. "He is a feminist as a prime minister and he's a feminist as a boss." Earlier today, Trudeau cancelled a trip to Regina and instead returned to Ottawa for private meetings. He had been scheduled first to attend an event at a Canadian Tire store to promote climate incentive rebates, then to deliver remarks at a Liberal Party fundraiser later tonight. Those plans changed after Philpott resigned as Treasury Board president Monday, saying she had lost confidence in the government's handling of alleged political interference in the prosecution of SNC-Lavalin. Infrastructure Minister François-Philippe Champagne said today Philpott had no choice but to leave since she did not have solidarity with the cabinet. "I'm not denying it, it's a difficult moment, but no one has entered politics thinking there would be no difficult moment. We need to deal with that seriously, with calm," he said during an event in Joliette, Que. "This is a serious issue, we need to get to the bottom of things, but we also need to focus on what matters to Canadians. People have elected us, they have sent us to Ottawa to represent our community to fight for the environment, fight for jobs, fight for the economy." Environment Minister Catherine McKenna echoed that line, saying the government must not lose its focus on big issues such as climate change. She said she retains "absolute confidence" in the prime minister and that she believes there is still much still to learn about the SNC-Lavalin matter. "I absolutely believe that Jody Wilson-Raybould believes what she said. I have worked with her. I respect her. But I think there are different perspectives on this," she said during a visit to Windsor, Ont. After Philpott announced her resignation Monday, CBC News reached out to the remaining 33 members of cabinet to ask if they still support Trudeau. As of Monday night, all remaining members of the federal cabinet were saying they continue to support Trudeau and the government. Gerry Butts, Trudeau's close friend and former principal secretary, is set to appear at the justice committee at 10 a.m. ET Wednesday. Privy Council Clerk Michael Wernick is set to return to the committee that afternoon. When he first testified Feb. 21, Wernick acknowledged he warned Wilson-Raybould of the grave economic consequences of SNC-Lavalin being prosecuted on bribery charges related to contracts in Libya, but denied that any inappropriate pressure was placed on the then-attorney general. Wilson-Raybould testified last week that she received veiled threats and faced intense pressure from senior people in the Trudeau government to override the independent decision by the director of public prosecutions to proceed with criminal proceedings against the Quebec-based engineering and construction company. The company has been seeking a deferred prosecution agreement — a legal mechanism that would allow the Quebec engineering firm to avoid criminal prosecution through alternative penalties, such as fines. Deferred prosecution agreements ​became law in Canada in September of 2018. The former justice minister and attorney general was demoted to the Veterans Affairs portfolio in a Jan. 14, 2019 cabinet shuffle. She resigned on Feb. 12, just five days after the Globe and Mail reported that said she had been pressured to overturn her decision on SNC-Lavalin. 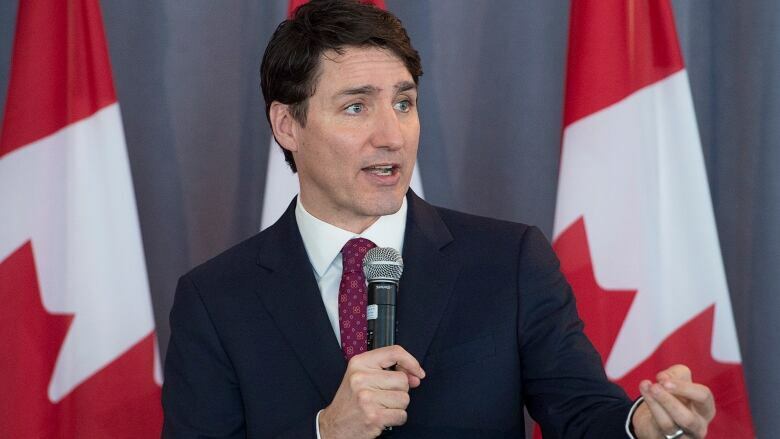 Wilson-Raybould and Philpott both remain in the Liberal caucus; Trudeau said Monday he is still thinking about whether they should stay there. Former Liberal cabinet minister Sheila Copps insists he should take "strong action" and kick them out. Trudeau needs to lance the boil inside the caucus! "If (Wilson-Raybould) feels so strongly about it, the logical next step is for her to step out of the Liberal caucus and not run as a Liberal, bcause the leader who's leading the team has lost her confidence," she told CBC News Network host Andrew Nicholson. "And ditto for Mdme. Philpott. If she does have that much integrity, she should just step out." Copps said it makes "absolutely no sense" for an MP to remain in caucus while expressing so little confidence in the party leader. A special Power & Politics with Vassy Kapelos begins at 10 a.m. ET on CBC News Network. Watch Power & Politics' special coverage on cbcnews.ca, YouTube, Twitter and Facebook at 10 a.m. ET. Follow our live blog and updated stories at cbc.ca/politics at 10 a.m. ET. Tune in to World at 6 on CBC Radio One and The National at 10 p.m. on CBC Television for more news and analysis on the day's events.